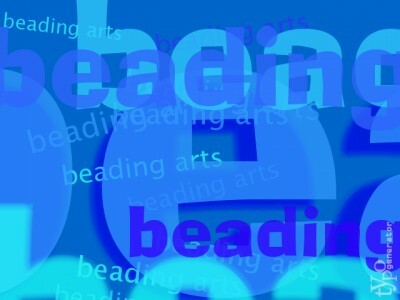 Cyndi Lavin, multi media artist and beader extraordinaire, has added a new chapter to her e-book! Please read my review of it! Her book is now 5 chapters long and is filled with great ideas and beauty -- irresistible! Plus, as you may know,the first chapter continues to be a FREE download! Hooray! Ever wonder if the Knew Concepts red jeweler's saw frame is really better? Charlene shares her take on it. Want a "post-Bead&Button Show" stash of jewelry-making goodies? Enter to win this week's Thursday Giveaway! Earrings make great gifts in a hurry for yourself and friends! Lisa shares a few newly made pairs using both sparkly and vintage beads! Get in the mood for summer jewelry fun with two turtle jewelry tutorials from Tammy. Art Bead Scene dishes up some lovely sunshine - come get some! Have you ever wondered how much traffic websites such as Etsy or ArtFire get? Michelle shares a free online tool that gives you quick website statistics. Carmi is experimenting with Apoxie Sculpt!